Life ….the beating heart, the breath we take in, the moment we become aware of living. This is just simply about a sliver in time, when all those things came to one second and decision of whether my daughter was going to take the next step…a heart transplant. Getting on the list is relief, the waiting…sometimes brutal, the decision when the opportunity comes…stops everything. Everything comes to a halt, time stands still and you breathe and then the breath becomes counted, the minutes become precious, the words spoken imprinted and every step that could be your last are so important. The first call was what they term a “dry run.” One in my daughter’s life at age 30 was so important. We had already lost her brother 8 years earlier trying to get one. She knew the choices, knew what it was to lose. Seen what it had done to us. It took a long time to heal from as well as for her knowing her outcome would be the same. We rushed to the hospital excited, emotional, scared and time stood still. As she was prepped for surgery and we were waiting on a match, removal and approval, I stood at a window in the hospital looking out in the treed sitting area for patients and visitors. My daughter in a wheelchair. Jessica was trying to breathe, trying to come to terms with this may be her last minutes on earth, that this was a good thing, and that she needed to trust God she would wake up. We were having the conversation about she could do this, it was the right thing to do and tears just poured down both of faces as it may be our last. The hardest part was saying yes you need to accept this gift now, knowing that these few moments may be our last. She struggled as all the memories of her brother came to mind, the decision of I may not make it, she hyperventilated for a few minutes and said over and over again, “I am not ready, I can’t do this, I don’t want to die yet.” Her choices were limited as without the heart transplant we were lucky if we had six months left. That dry run was priceless and the good Lord knew what he was doing by giving us the blessing of that first time of a no go. We went home, the decision was not hers that day. My heart broke…for the opportunity lost, for the opportunity gained by more time. The suspension in time, part of life that comes when balancing between life and death. It is a true test of one’s faith when these moments arrive. You can either find the peace above all others or totally lose it. We both thank God every day for that faith, we found peace. We delighted in the extra moments and when that second call came two weeks later, there was zero hesitation, only the strength to know God was in charge…we would see each other on the other side which ever other side there was for the outcome. As they wheeled my baby into that room I gave it all to Him and knew I would see her again. Afterwards, I first walked into that hospital room to see her, touch her…the greatest gift was the sound of that heart monitor with thump, thump…thump, thump as the rhythm of that gift someone so unselfishly gave beat now loud and strong…life …the beat of the heart, the breath we take in, was there. I was overjoyed and wept with relief that I got keep this one here for a little longer. Missy Stagers is the Broker / Owner of M. Stagers Realty Partners. Prior to her growing 24-year real estate career, Missy chose to serve her country as a Cryptologist with the Navy. 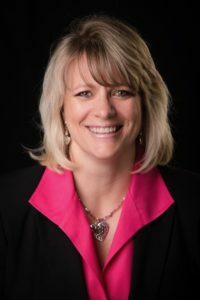 With a renewed sense of purpose, focus, and self-confidence, Missy separated Honorably from the USN (Jan ’98) and immediately began a 2-year stint with McMillin Realty (CA) where she was charged with all aspects of marketing for the entire company. In 2001, Missy and family relocated to the Lone Star State where she continued to gain and refine valuable marketing skills for Sheldon Good & Company, a real estate auction firm. In 2003, Missy took a leap of faith and jumped into the residential housing market as a Realtor® for The Guy Chipman Company which shortly thereafter became Coldwell Banker D’Ann Harper Realtors®. During the next 13 years, she frequently distinguished herself as 1 of the top 5 Realtors® in Greater San Antonio. After devoting more than 20 years to over 3,400 customer-based transactions ($550m), and now, fully equipped with multiple real estate certifications and numerous senior management positions at both the Local/State level (Chair-San Antonio Board of Realtors®, Chair-Women’s Council of Realtors®). In Jan of this year, Missy broke out and became her own boss with the creation of “M. Stagers Realty Partners, LLC.